For your orientation, please see the following Porto Local Maps. Click on map for further information! If you wish you can use the Porto Metro net. 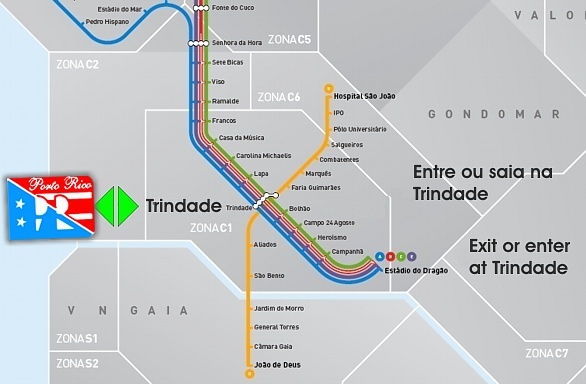 The nearest stop is Trindade, no mater what line you use. Take the City Hall direction. You'll find us on the right hand of the Porto City Hall, at Almada Street. - At the end of High Way A1, follow Ponte do Freixo (Freixo bridge) direction. - At the end of Ponte do Freixo (Freixo bridge), you'll find the Dragão Stadium on your left hand. - Go ahead on the right traffic belt. - Exit to Antas or Porto centre. - On the 3rd traffic lights, turn right and go ahead to Constituição Street. - You'll find Marquês Square, on your left hand. - Go ahead, and turn to left on the 2nd street, to S.Brás Street. - Go ahead to Camões Street. - At the end of Camões Street, turn left to Ricardo Jorge Street. - Turn left to Almada Street. - You'll find Porto Rico Guest House at 200mts on the right hand. - Exit to VCI, direction high way A1. - On VCI, exit right to Arca de Àgua. - Left surround the square in 180º and enter again on VCI. - Exit to right to Porto Centro (Porto centre). - At the 2nd traffic lights, follow right to R. de Faria Guimarães (Faria Guimarães street). - At the next Traffic lights, turn right to Rua do Covelo (Covelo street). 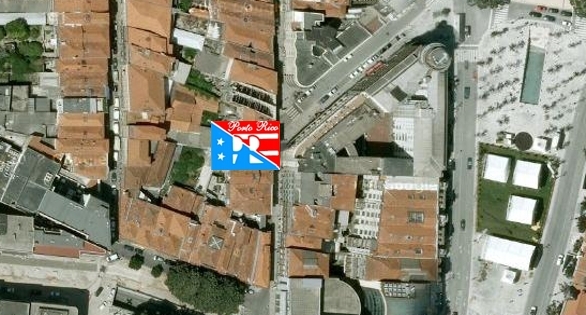 - At the 2nd corner, turn left to Rua Pedro Ivo (Pedro Ivo street). - Again turn left to R. Dr. Adriano Paiva (Dr. Adriano Paiva street). - Turn right to R. Dr. Joaquim Kopke (Dr Joaquim Kopke street). - Go ahead to R. de S. Brás (S.Brás street). - Go ahead to R. de Camões (Camões street). - Exit to VCI, direction Ponte do Freixo (Freixo street). 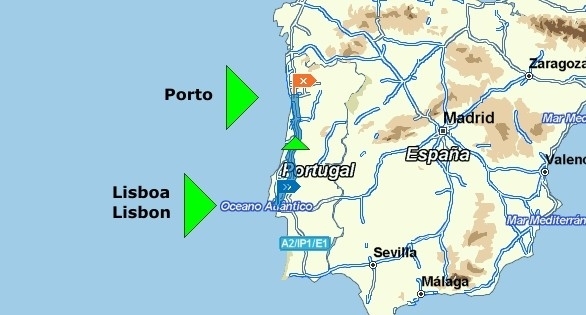 - Follow the 2nd right exit, to Porto centro (Porto centre). - Repeat the same trajectory, as defined bellow at 5th paragraph and after.